Clean the fillets and dry them. Mix yogurt,red chilly powder,tumeric powder,coriander powder and garam masala together. Marinade salmon fillets in the yogurt mixture for half an hour. Grease the tray with oil and place the fillets. Bake these marinated fillets at 350 F for about 15 to 20 minutes. 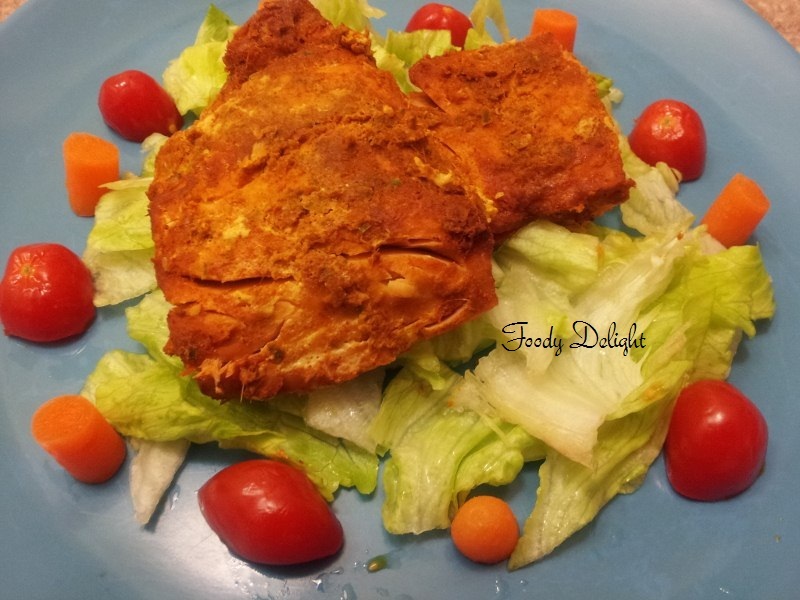 Salmon Tandoori is ready to serve. 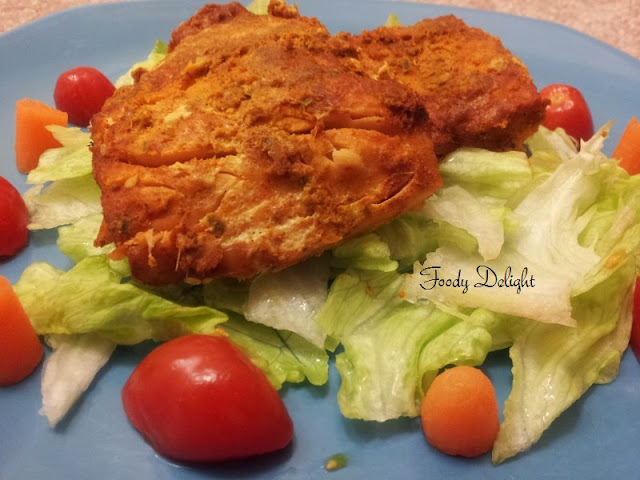 Salmon tandoori can be served with veggie salad of your choice. This looks amazing...nothing like FISH, I say! superb photos, great website...kudos!